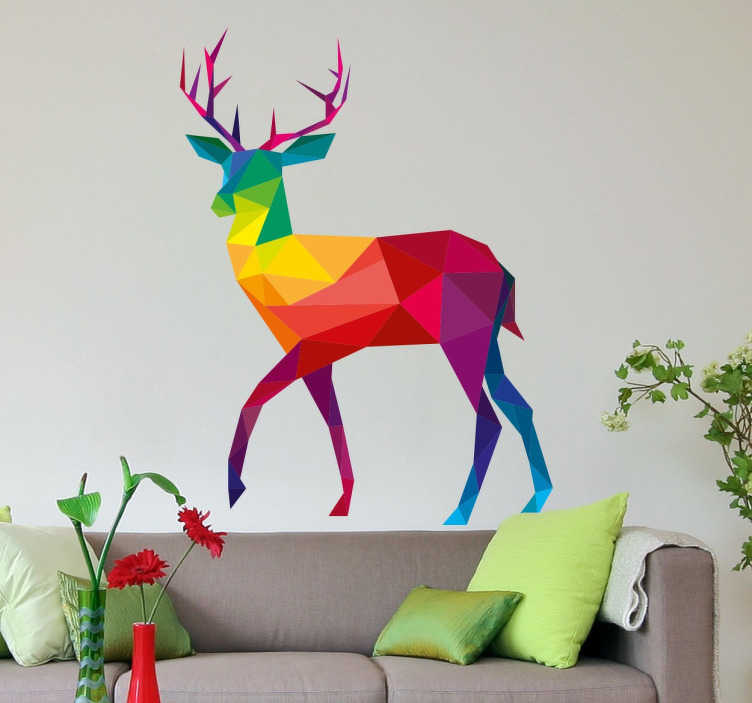 This striking geometric multicoloured wall sticker features a design of a rainbow stag, and is perfect for living rooms and bedrooms! This vinyl is available in a wide variety of different sizes, and if you require a custom size then don't hesitate to get in touch at info@tenstickers.com. As easy to apply as it is to remove, this sticker leaves absolutely no residue upon removal!